For well over 50 years, AAMCO franchise owners have become indelible fixtures of their communities, strengthening their local economies and exemplifying the very essence of the American Dream. 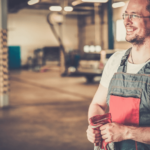 With nearly 700 auto repair franchise locations open across the country, AAMCO has proven to be a brand that communities can trust — not only for exceptional service but also for job creation and charitable works. AAMCO is a brand with staying power. For 12 years, Tom and Patricia Eden have run their AAMCO franchise in Lafayette, Indiana, with their community at the forefront. As they’ve become successful business owners, the husband-and-wife team have always given back: donating more than $30,000 to local charities and nonprofit organizations. Most recently, they sponsored a young equestrian in the 2016 Tippecanoe County 4-H Fair horse competition; their sponsored rider took home a blue ribbon! 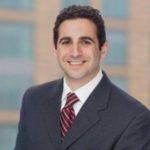 On several occasions, the Edens have paid for customer repairs and driven customers to their destinations. In addition, AAMCO of Lafayette offers discounts to active and retired military personnel. In recognition, Tom and Patricia were recently honored by Greater Lafayette Commerce Committee as the Small Business of the Month for their dedication to their community, commitment to innovation and entrepreneurial spirit. Lafayette Mayor Tony Roswarski and State Representative Sheila Klinker presented the Edens with the award at a ceremony in July. 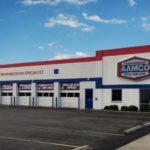 For more than half a century, AAMCO’s network of locally owned and independently operated auto repair franchise centers has employed the latest technology. Expert technicians diagnose a repair, fix it right the first time and back it with a nationwide warranty. Known as the world’s leading transmission expert, the company has evolved into a Total Car Care brand that provides a variety of services, including brake repair, tune-ups, shocks and struts, routine maintenance and more. AAMCO was named to Entrepreneur’s 2016 Franchise 500, ranking at the top of the transmission repair category. Based on network size, growth rate and financial strength, the brand also earned a spot on Entrepreneur’s “Best of the Best” list. The Edens opened their AAMCO franchise in 2004 after years of searching for the right opportunity to fit their needs. The owners have lived in the Lafayette area for more than 25 years and are part of the Lafayette Chamber of Commerce and Lafayette Business to Business. Before joining AAMCO, Tom worked as an engineer and then plant manager for 20 years, while Tricia raised their four children and assisted with the daily operations for the AAMCO center.